Word of the year is some word that you want to focus on in the coming year. I have set the Word of the year in 2017 as 'Aggressive' even though I didn't publish on my blog. It seems negative but I wanted to move things fast from my end. I wanted to make drastic changes, leave monotony and adapt to new things by taking more initiative. 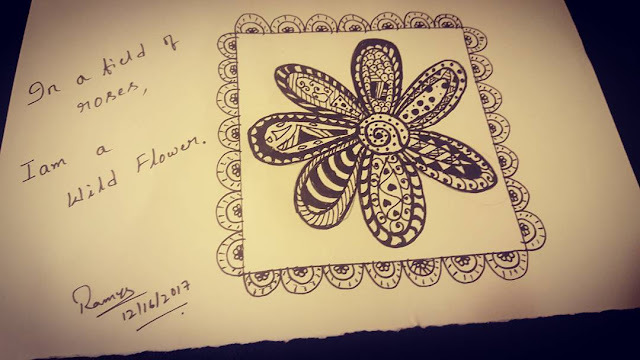 I could implement a lot like starting dance classes, searching for more freelance software testing work, getting a driver license and driving to places on my own and learning a new art like Zentangle. This time, my word of the year for 2018 is "Positive spirit/ Positive Attitude". I want to accept things in my life as they come and be positive throughout irrespective of successes/ failures. I am planning to be more grateful for every small thing and count my blessings than worrying about things going wrong. I think these 3 ways help me to stay positive in the coming year. 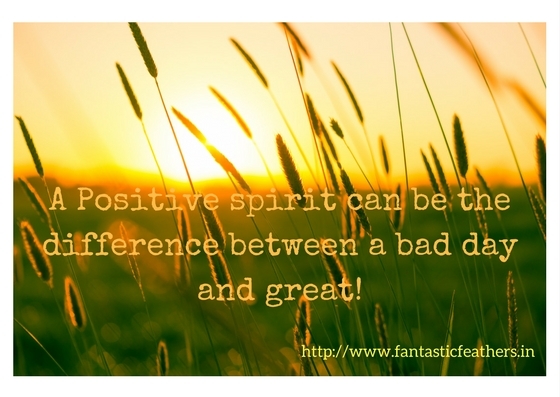 Let me know in comments what makes you stay positive in your life. I observed from the last year that counting my blessings is an effective way to stay positive. I feel blessed to have a good family, time to pursue my hobbies and to have food and clothes that are needed. I am happy for my health and happiness. When I browse my old photos, I feel grateful for the memories that I have created with family, friends, and colleagues. Positivity is everywhere, just we have to pause and appreciate. Any art form is a blessing. Dance, music, and painting let me forget all negatives and take me into a new world of happiness. It is difficult to explain how any art impacts our heart and brain, but we have to experience it to understand. When I feel low and stressed, 30 mins of drawing a Zentangle will remove the gloominess for me. Even gardening and reading books help me to cheer up quickly. Fortunately, I could travel more in 2017. I hope the same with 2018. Travelling is like opening myself to new environments and constantly learning something new. An Added bonus is the beautiful nature. I am amazed at the beauty of mountains, lakes and different hues of the Sky. Travel at least once in 3 months to stay positive. Change in the routine work and place is relaxing. Even though it's tough to travel with 2 kids (one is a toddler), it helps me to escape from negative thoughts. Did you set any word for the coming year? If not, Is there something that you want to focus on this new year? Do let me know in comments. Linking this post to #WOTY2018 link-up hosted by Corinne @everydaygyaan. I haven't set a word for 2018 yet, but this is a good reminder! I love that you are experimenting and creating, Mahathi. Thank you for being a part of my blogging world. Wishing you a most positive 2018! I agree with all your points. And, wishing you a happy 2018 with lots of good safe travels.